An explosion has hit a currency exchange in the southern Ukrainian city of Kherson killing one man, authorities say. This comes after one person was killed in an overnight blast in Odessa, another southern city. According to Kherson police, the blast occurred before noon on Saturday after a man wearing an explosive device entered the currency exchange and set it off killing himself. No one else was injured. Before detonating the device, the man demanded cash, Most news website reported. The incident occurred near the city’s central market. Police say they have found another bomb outside the currency exchange, which was safely detonated. Ukraine is currently experiencing a shortage of foreign currency. 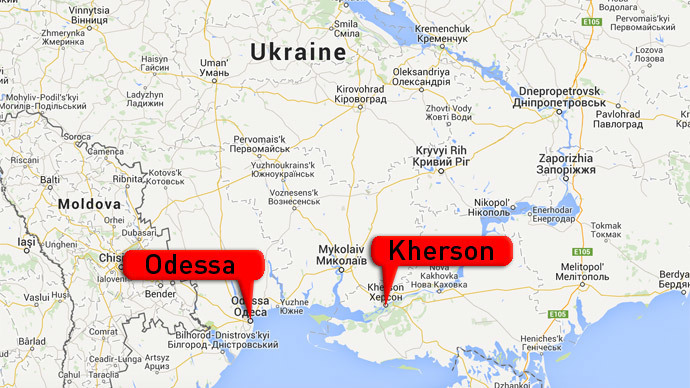 Earlier on Saturday, a blast rocked the port city of Odessa – some 140 kilometers west of Kherson. Local police say it killed one man who was transporting the explosive device. No one else was injured in the incident, but the blast shattered some windows in nearby buildings. Odessa has recently seen several similar incidents. A blast hit railways on Wednesday with authorities treating it as an act of terror.